Human sculpting art is getting peak value fame and human visual art is also going parallel to it! If you are also having art loving soul and really like the humanoid form of art then you can test your skills now with free pallets! 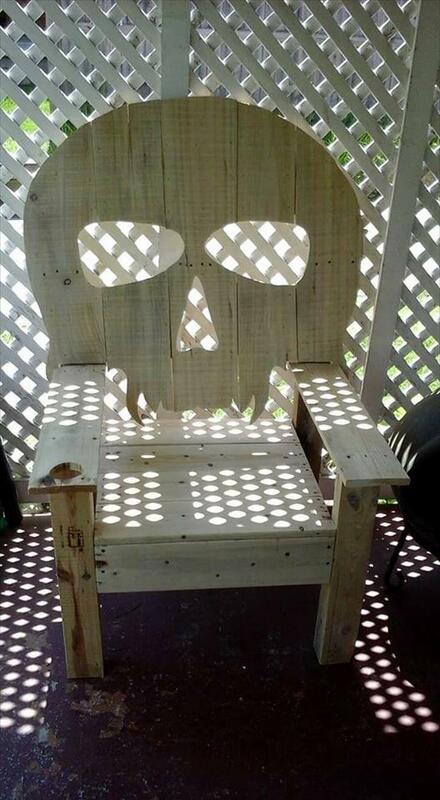 Clone this fancy DIY pallet skull chair if you really need to give an outdoor spaces a horror or mysterious effect! Using sharp and precise carving tools or electrical carving routine you can easily go more mini curves, tiny cutouts and also for custom round or swirling cuts so it would be all simple to clone this skull backrest of chair if you are equipped with precise wooden cutting tools! In this skull shape, the teeth from flat to sharp ones have also been crafted which gives a more real look to entire skull shape! Use lights for amazing effects at night and also use the custom paint shades to spice up this pallet chair design more! 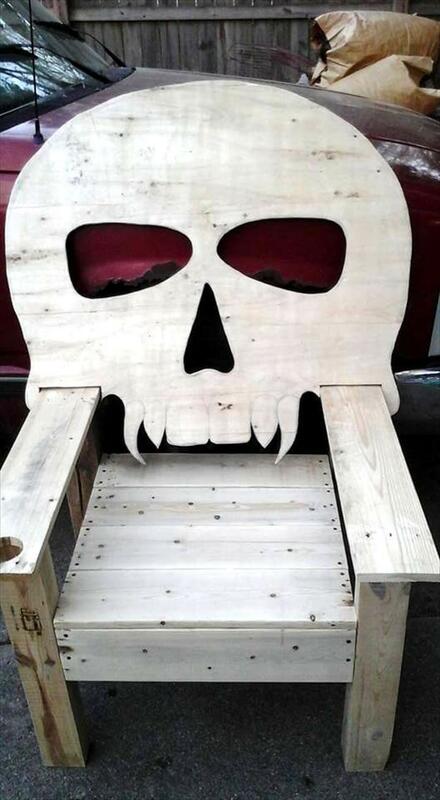 Fantastic horror chair is all here to turn any of your space into a frightful site of your home! It would be all lovely to give horror effects to any of your space! 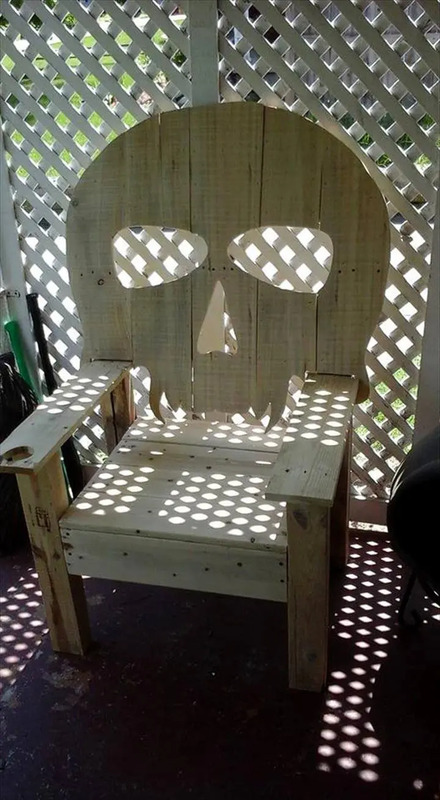 All human skull has been crafted in two dimensional wooden frame and makes a fantastic visual art also, just add some light to the back and place this chair at any darker location of your garden at night! The right armrest of chair is having a hole in it to hold those beverage glasses, finally the chair has been whitewashed to gain a fantastic white avatar!